The free lecture (6–7pm, 17 October 2018) outlines the breadth of his practice, focusing specifically on recent works from his two series Paradigms and Optics. This major site-specific sculpture has been commissioned for the new Comcast Technology Center building, designed by Foster + Partners, in Philadelphia, USA. 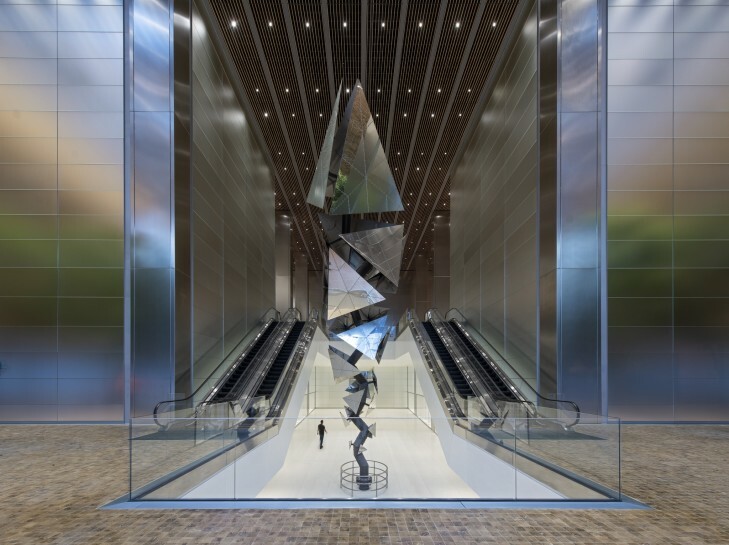 The artist’s largest Paradigm work to date, at 18m tall, occupies the lobby of the building, its complex mirrored surfaces enhancing the visitor’s experience of the surrounding architecture.